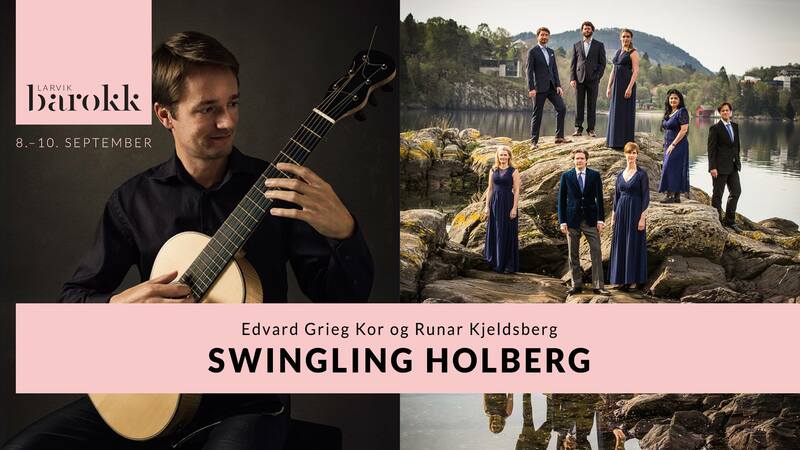 Edvard Grieg Kor returns to Larvik with a new version of Grieg’s Holberg suite, written by Jonathan Rathbone, the musical leader of Swingle Singers. In this brand new piece they sing all of Grieg’s orchestral work, as well as Nordic folk songs arranged by Paul Robinson along with contrasting madrigals by the Danish Baroque composer Mogens Pedersøn. Edvard Grieg Kor is joined by Runar Kjeldsberg who returns to Larvik with his period guitar. Kjeldsberg releases his latest album of three, in a monumental project where he presents the French soldier and guitaris Francois De Fossa. A guest performance will be given by students from Larvik Kulturskole, for the occation joined by Edvard Grieg Kor.